What is the problem? After all, they are looking for a buried TRAIN, not a buried earring, right? How hard can it be to find a train, even if it is buried? There's no "X" marking the spot, but an map like this could lead you and your metal detector right to underground deposits of gold. Credit: Robert Kyllo/iStock. Deep-buried gold can be so far from the surface that even the most powerful metal detectors cannot “see” it. A lot of the earth’s gold lies 20, 30 feet or more from the surface. That explains why much of the earth’s gold comes from mines, not kids with shovels and pails. Earth, rocks and soil are effective at blocking signals from electronic, ultrasound or other detectors. Metal buried four, five or six feet deep is very hard for those technologies to find. If buried materials are surrounded by air, that presents another impediment to easy detection. For example, some people theorize that the Nazi gold train, if it does exist, is sitting in a tunnel. That means that there is space around it, which further insulates it from detection by electronic devices. So, How Can You Find Gold that is Buried Deep Underground? Analyze the gold content in the leaves of trees. A recent article, “How to Find Buried Gold Using Trees” that George Dvorsky wrote for Gizmodo.com, explains that trace amounts of gold can be found in the leaves of eucalyptus trees that are growing on top of gold deposits in Australia. Those trees send roots down deep enough to absorb small amounts of gold, which end up in the leaves. Although the amount of gold is so small that it has no value, it is possible to test leaves and use them to help locate gold underground. Granted, this approach is not now being widely used by gold-hunters. But who know? It could become possible to apply this approach and find underground deposits of gold in other parts of the world. Scan aerial photos. Overhead photos can show the locations and dimensions of old houses, factories, churches, forgotten cemeteries, etc. You can also take aerial photos yourself, using a relatively inexpensive drone. Another source? Google Earth. You can use it to look at large areas of land, looking for the outlines of old buildings. Look at old maps. Here is a source of information that you can access easily, often by visiting your local library or historical society. If you look at maps that are only 100 or 150 years old, you will often find some real surprises, such as the locations of old industrial buildings, mines and other sites that are worth exploring. For example, a map from 1878 that is on the wall of the historical society in my home town shows the location of a large brownstone quarry and some fabric mills that have long disappeared. There is probably no gold in those sites. But if you search old maps in an area where there were once operating gold mines, or where factories might have made gold items in years past, who knows? 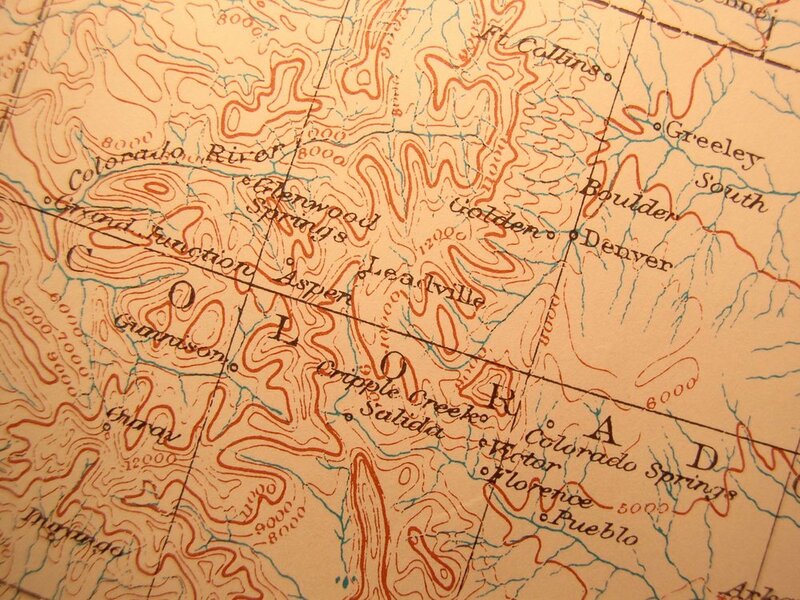 Those old printed maps could lead you and your metal detector right to underground deposits of gold. Call Specialty Metals Smelters and Refiners at 800-426-2344 and send us a sample. We’ll tell you what’s in your sample and – better yet – give you a written estimate of what your scrap could be worth. Be sure to how much it will cost to ship your materials to us for testing. In many cases, we are able to offer free or discounted shipping on materials that we accept for testing.